Save the Date for November 9th when one of our favorite artists, Tomo Mori will present her solo exhibit, Search for Warmth: Works by Tomo Mori at The Yard, City Hall Park. Included in this exhibit are her most recent work Kimono Soul, connected ropes, representing ancient and universal qualities representing the human connection. 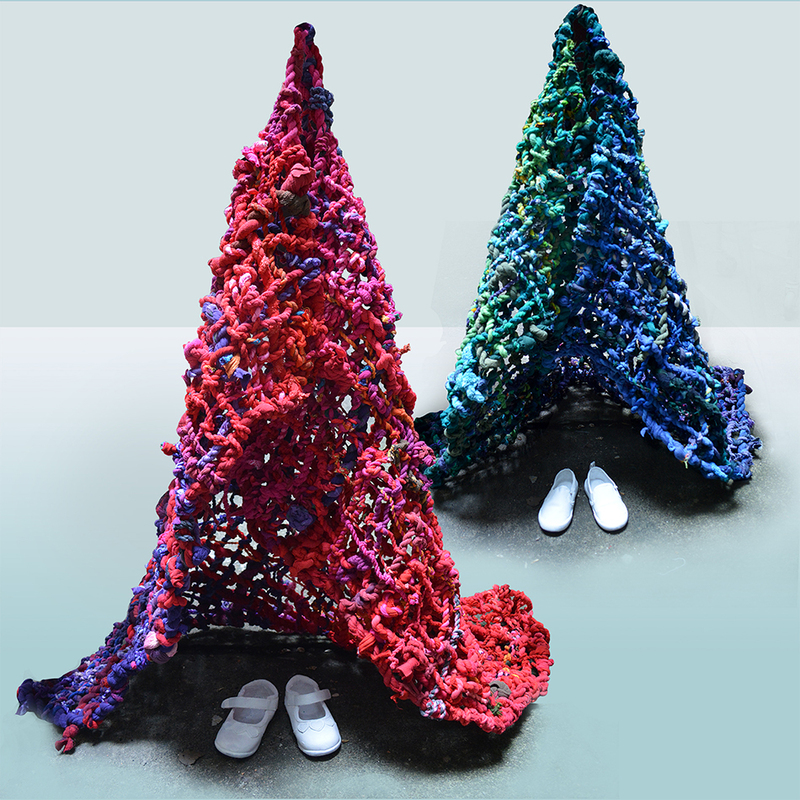 Each rope is made by hand, with old clothes and donated t-shirts “to create a garment with a long history of family tradition representing a woman’s soul.” In addition, a series of small sculptures entitled Our Little People (image above) and a series of mosaic-like collage works. 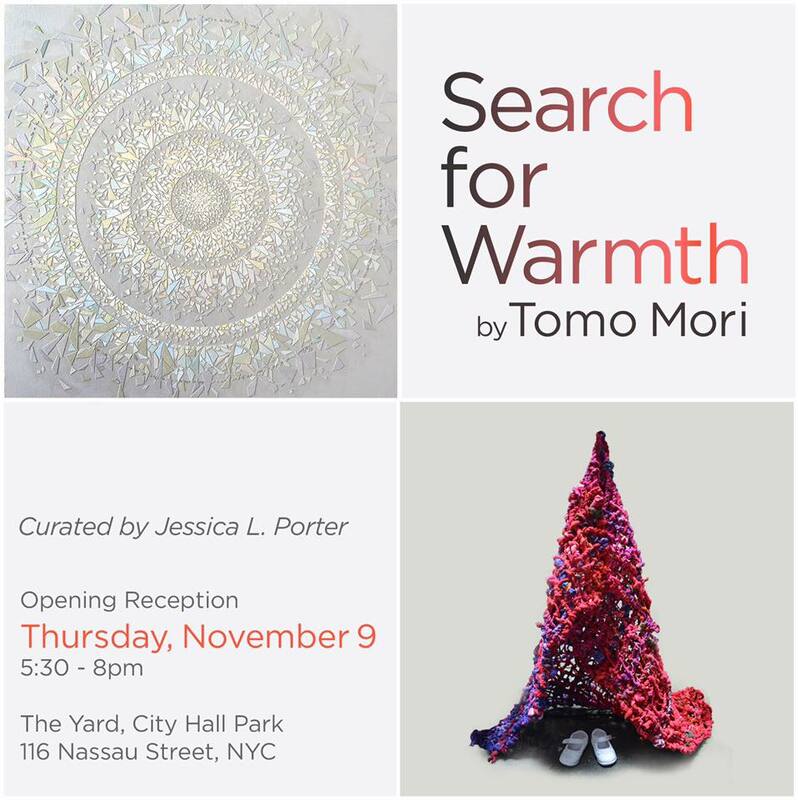 Search for Warmth: Works by Tomo Mori at The Yard: City Hall Park is presented by Porter Advisory and will be on view from November 9 to April 13, 2018, with an Opening Reception on Thursday November 9 from 5:30-8:00pm. The Yard: City Hall Park is located at 116 Nassau Street, NYC. Follow Search for Warmth on Facebook. Follow the artist, Tomo Mori on her website.